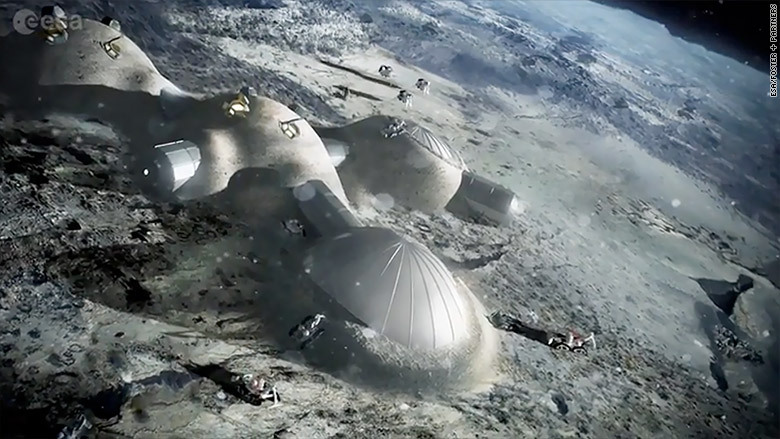 The European Space Agency wants to build a village on the Moon. The head of the multinational agency, Johann-Dietrich Woerner, said the village would "serve science, business, tourism and even mining purposes." 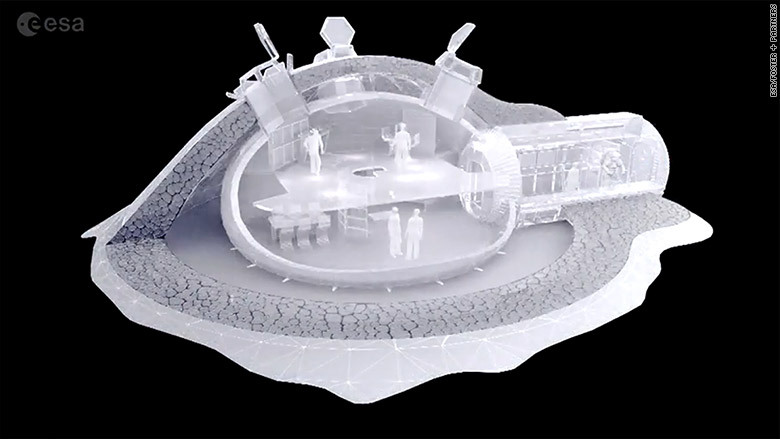 In a video interview posted on the agency's website, Woerner said a permanent lunar base is the next logical step in space exploration. He said the village could replace the International Space Station in the future. The ISS has been continuously occupied since 2000. It was originally set to be decommissioned by 2020, but its operation has been extended through 2024. The agency said it could take 20 years before the technology is ready to make the Moon village happen. Woerner said the agency could use the Moon's natural resources to build the village, instead of bringing materials from Earth. Structures and parts of buildings could be 3D-printed using robots and rovers. "We don't need a big amount of funding at the beginning...we can start with a small landing mission, which many countries are already planning," he said. Having a permanent human presence on the Moon could be risky, because of cosmic radiation, micrometeorites, and extreme temperatures which can range from 253 degrees F (123 C) to minus 243 F (minus 153 C). But Woerner said these risks could be minimized by picking the right locations on the Moon. "If we go into the shadow on the moon, we'd have places where we don't have the radiation...at the south pole, which has permanent darkness, where we can find water," he said. The Outer Space Treaty, which was signed in 1967, says that no nation could claim ownership of the Moon. The European Space Agency wants the Moon village to be an international that would combine the capabilities of different space-faring nations. Some countries might also be interested in mining for rare earth elements and helium on the Moon, he said.